Tax season is approaching fast – Very little time left until we shift from year-end planning strategies to actually preparing for filing, which looks likely to start around its usual time of the second half of January. With that in mind, consider this collection of tips from the Internal Revenue Service and other tax experts on how taxpayers and tax professionals can set themselves up to have a smoother, less surprising filing season in 2019. Some key information from the return filed this year will be needed to file in 2019. For instance, taxpayers using tax filing software for the first time may need to provide last year’s adjusted gross income to verify their identity. The IRS recommends keeping a copy of tax returns and supporting documents for at least the three previous year. And for taxpayers who claim certain securities or debt losses, the service recommends keeping returns and documents for at least seven years. 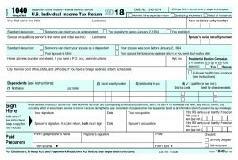 Transcripts summarize tax return information and include the taxpayer’s AGI. They’re free, and available for the past three tax years – but they take at least five to 10 days to arrive (if ordered online or by phone) and as much as 30 days (if ordered by mail). Full tax returns, by the way, can take as much as 75 days, and cost $50 per copy. Refunds on returns claiming the Earned Income Tax Credit or the Additional Child Tax Credit, for instance, cannot by law be issued before mid-February. The potential for delays – and the fact that TCJA-related changes may lead to taxpayers getting less of a refund than they expected – make it important that taxpayers not rely on getting their refund by a certain date so they can make major purchases or pay debts, bills and the like. An Individual Taxpayer Identification Number is required for certain taxpayers who don’t have a Social Security number, but unlike SSNs, they expire -- and using an expired ITIN can cause major processing delays. ITINs expire if they haven’t been used in the past three tax years, and currently, those with middle digits 70, 71, 72, 78, 79 and 80 need to be renewed by the end of 2018. Taxpayers should use a Form W-7 to renew, and the IRS strongly recommends submitting an accurate form with valid ID requirements. It’s not Dec. 31 yet, so while it’s time to start thinking about the filing process, it’s not too late for some last-minute adjustments. There are plenty of collections of suggestions for year-end strategies; here are just a couple. To start, don’t forget about maximizing contributions to 401(k) plans and other retirement and savings accounts such as 529 plans. And then there are plenty of parts of the TCJA to dig into, like planning around the new standard deduction and taking advantage of the qualified business income deduction if available. and to minimize the impact of those that are unfavorable. countered by the fact that the draft form has six new accompanying schedules. form of a tax refund. for tax years beginning after 2017 and before 2026, with an exception for certain members of the Armed Forces. the pre-TCJA $27,300 for passenger automobiles and $31,000 for trucks and vans). for 2018) for family coverage. The Oklahoma Tax Commission recently put out this letter reminding us that sales tat is done on a point of sale rule. That applies to sales out of state as well. If you are selling in other states besides Oklahoma, you should be registered to do business in that state and remit taxes to them for their share. Call us if you have any questions! Oklahoma Tax Commission (OTC) Rule 710:65-18-3 states that when sales are delivered to a purchaser, the sales must be taxed and reported at the delivery location. For example, if your store is in Tulsa but you deliver to an address in Enid, you must charge the tax rate associated with the address in Enid. To assist you with determining the correct rate to charge on delivery sales, OTC has available an online sales and use tax rate locator system. This system assigns city and county tax rates to all of the addresses, then ZIP+4 and 5 digit zip code areas in the state. It allows you to find the correct address and if necessary the correct ZIP+4 Code area (and corresponding tax rates) for individual addresses. 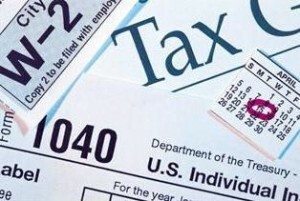 To determine the tax rate of a specific address, go to: http://oktax.csa.ou.edu/Rate_Locator/. You can also visit our website at www.tax.ok.gov and select the Online Services tab followed by the Online Filing – Businesses tab. From that menu select the Sales & Use Rate Locator option. To utilize the rate locator, click the Enter the Sales & Use Tax Rate Locator System link, and select the Search By Address option. On this page, the rate tables are also available in a downloadable format. Always get a shopping cart, even for one item. Ready your method of payment by the-unmentionables. Parking lots and registers are 'Hot Spots" for targeting. ID, Credit cards, cash-and checks should be kept on you, not in purse. Men, never carry your wallet in back hip pocket. One strap purse is safer than two. Never wear cross body purses. Carry your cell phone on your person, ALWAYS ON! Never get your method of payment out at the register. Never push your shopping cart through the register, PULL IT! Always use a Gel Ink pen when writing a personal check. Use your debit card as a credit card. When entering your pin, use your car key or gel pen or stylist-never warm the keys with fingertips. Before leaving the building, ready your bait money and bait keys. NEVER CARRY YOUR SOCIAL SECURITY CARD. open or will be soon. Please look out for School Buses and walkers as they may not look out for you! 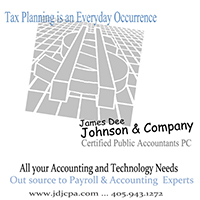 Tax Planning is an Everyday Occurrence! We can help you with the confusion and changes. Give us a call over the summer and we can help project your 2017 picture and forward. Here is a summary of President Trump’s proposals for his tax plan. There is not a lot of detail yet, as this is a merely a proposal and has not yet even been introduced to Congress as a bill. Once it is a bill it must be passed by both the House and the Senate and then signed by the President. I’m not adding any comments or opinions, just presenting you a summary. The proposal does not include a provision change from the current depreciation system to allowing expensing of all business assets, as originally proposed. Individual tax brackets would reduce from the current seven different individual tax brackets to three brackets, with rates set at 10 percent, 25 percent, and 35 percent. The prosposal would also double the standard deduction to $24,000 for MFJ, repeal alternative minimum tax and the estate tax and expand the credit for child and dependent care expenses, while also repealing the dreaded net investment income 3.8% surtax. Don’t rely on the luck of the Irish to get your taxes done or handle all the ins and outs of payroll. We are always looking for new clients to assist with their tax needs or other accounting services. We have a great team with over 100 years of collective experience. expenses to a “t.” Otherwise, deductions may be denied. * The business purpose of each business use of the automobile. manner.” A record maintained on a weekly basis may suffice. Donate a ream of paper to support the Del City Public Schools between August 1st & August 19th. Monetary donations will also be accepted and will be used to purchase additional paper. Contact delcityrotary@gmail.com and we will come by & pick up your donation. There are many scams out there using the IRS as the scare tactic. You may get a prerecorded message via a phone call stating that it is the IRS. They will claim you owe them money and that if you don’t call them back they will turn you over to a collection agency or you might even go to jail! They give you a phone number to call to “resolve the issue”. Please don’t fall for this scam. The IRS does not call or email to correspond with you. They might drop in for a visit, but never via phone or email. If they have any issue, you will receive correspondence from them via the US Postal Service regarding the matter with instructions on what you need to do to respond. Please check out any contact you get prior to giving out any personal and confidential information. Here is a link to the IRS website with instructions on how to report scams: https://www.irs.gov/uac/report-phishing. Don’t rely on the luck of the Irish to get your taxes done. We are always looking for new clients to assist with their tax needs or other accounting services. We have a great team with over 100 years of collective experience. The yearly uncertainty for small businesses is over…at least as it pertains to Section 179 expensing limit. Finally fixed asset planning will be able to be done on-going instead of wondering if the last year rules will still apply. I hope this information is helpful. If you would like more details or have questions, please contact us. Congress passed and the President signed into law the "Tax Increase Prevention Act of 2014" (TIPA, or "the Act"). The Act extends through 2014 a host of depreciation and expensing provisions for businesses that had expired at the end of 2013, including generous Code Sec. 179 expensing and phaseout limits; 15-year writeoff for qualifying leasehold improvements, restaurant buildings and improvements, and retail improvements; and 50% bonus first-year depreciation. That gives us a couple of weeks for tax planning!!! New law. TIPA extends 50% first-year bonus depreciation for one year so that it applies to qualified property acquired and placed in service before Jan. 1, 2015 (before Jan. 1, 2016 for certain longer-lived and transportation property). New law. Under the luxury auto dollar limits, depreciation deductions (including Code Sec. 179 expensing) that can be claimed for passenger autos are subject to dollar limits that are annually adjusted for inflation. For passenger automobiles placed in service in 2014, the adjusted first-year limit is $3,160. For light trucks or vans, the adjusted first-year limit is $3,460. Light trucks or vans are passenger automobiles built on a truck chassis, including minivans and sport-utility vehicles (SUVs) built on a truck chassis that are subject to the Code Sec. 280F limits because they are rated at 6,000 points gross (loaded) vehicle weight or less. The applicable first-year depreciation limit is increased by $8,000 for any passenger automobile that is "qualified property" under the bonus depreciation rules of Code Sec. 168(k) and which isn't subject to a taxpayer election to decline bonus depreciation. TIPA provides that the placed-in-service deadline for "qualified property" is Dec. 31, 2014 (Dec. 31, 2015 for aircraft and long-production-period property). New law. TIPA Act extends for one year the election to increase the AMT limitation in lieu of bonus depreciation so that it applies to property placed in service before Jan. 1, 2015 (Jan. 1, 2016 in the case of certain longer-lived and transportation property). For property placed in service after Dec. 31, 2013, in tax years ending after that date, the Act provides a similar option to corporations with respect to "round four extension property," generally, property newly eligible for 50% bonus first-year depreciation under the Act's one-year extension provision, i.e., property placed in service after 2013 and before 2015 (before 2016 for the aircraft and long-production-period property). The Act further provides that a corporation that has an election in effect to claim minimum tax credits in lieu of bonus depreciation with respect to round three extension property (generally, property that was newly eligible for 50% bonus first-year depreciation under the 2012 Taxpayer Relief Act) is treated as having an election in effect for round four extension property, unless the corporation chooses otherwise. A corporation that does not have an election in effect with respect to round three extension property may also elect to claim minimum tax credits in lieu of bonus deprecation for round four extension property.
. . . Off-the-shelf computer software is expensing-eligible property if placed in service in a tax year beginning before 2015 (a 1-year extension).
. . . For tax years beginning before 2015 (also a 1-year extension), an expensing election or specification of property to be expensed may be revoked without IRS's consent. But, if such an election is revoked, it can't be made again.
. . . For any tax year beginning in 2010, 2011, 2012, 2013, 2014, or 2014, up to $250,000 of qualified real property (qualified leasehold improvement property, qualified restaurant property, and qualified retail improvement property) is eligible for expensing under Code Sec. 179 . New law. TIPA retroactively extends for one year the inclusion of qualified leasehold improvement property, qualified restaurant property and qualified retail improvement property in the 15-year MACRS class. Such property qualifies for 15-year recovery if it is placed in service before Jan. 1, 2015. New law. TIPA retroactively extends for one year the 7-year straight line cost recovery period for motorsports entertainment complexes. The quick writeoff applies to qualifying motorsports entertainment complexes placed in service before Jan. 1, 2015. New law. Taxpayers may elect to expense production costs of qualified film and television (TV) productions in the U.S. Expensing doesn't apply to the part of the cost of any qualifying film or TV production that exceeded $15 million for each qualifying production. The limit is $20 million if production expenses were "significantly incurred" in areas (1) eligible for designation as a low-income community or (2) eligible for designation by the Delta Regional Authority (a federal-state partnership covering parts of certain states) as a distressed county or isolated area of distress. TIPA retroactively extends for one year the expensing election for costs of film and TV production. The election applies to qualified film and TV productions beginning before Jan. 1, 2015. IRS Releases Tips for Keeping Records Safe in Case Disaster Strikes: With hurricane season officially starting, the IRS has issued a reminder of ways individuals and businesses can safeguard their records against natural disasters. Before disaster strikes (1) create a backup set of records (i.e., bank statements, insurance policies, tax records, etc.) electronically, (2) document valuables (by photograph or video), and (3) review and update the emergency plan at least annually. Store the electronic records in the cloud or somewhere outside the area that is likely to be impacted by a natural disaster. The IRS can provide copies or transcripts of lost or destroyed tax returns and has a disaster hotline dedicated to helping taxpayers with disaster-related tax issues. IRS Tax Tip 2014-15. I don’t know about you, but I would think a national investigation constitutes a disaster, covered by the above IRS tips. They have 7 or so hard drive crashes, lose emails that are critical to a national investigation, and they want a pass? Do you think if they show up at your door to audit your tax return, that they will take your word for it because your hard drive crashed? I don’t think so. We need to be prepared for the “disaster” of an IRS audit. Following is the recommendations for the length of time to keep tax returns and other business records. Business Income Tax Returns and Supporting Documents: The length of time you should keep a document depends on the action, expense, or event that the document records. Generally, you must keep your records that support an item of income or deductions on a tax return until the period of limitations for that return runs out. The period of limitations is the period of time in which you can amend your tax return to claim a credit or refund, or that the IRS can assess additional tax. Typically, the IRS can come after your business for failing to report income for up to 6 years after your filing if the amount is greater than 25% of your business’s gross income. If you filed for a deduction for a bad debt or worthless security, the IRS suggests you keep your supporting tax records for 7 years. Under these circumstances, you may generally wish to retain your supportive records for at least 7 years. Employment Tax Records: The IRS suggests that you retain all employment records for a minimum of 4 years after the date the taxes were due or paid, whichever is later. This would include your employer identification number, amounts and dates of wage, annuity and pension payments and tax deposits, the names, addresses, social security numbers, dates of employment and occupations of employees and records of allocated tips and fringe benefits. Business Asset Records: The IRS recommends retaining your records until the period of limitations ends from the year you disposed of that property. These records will aid you in calculating applicable depreciation, amortization or depletion deductions and to determine any gain or loss on that property. If the business property is real estate or a vehicle, keep the deed or vehicle title in a safe, secure spot until you sell or otherwise properly dispose of that property. Business Ledgers and Other Business Documents: Conservatively, you should keep your journal entries, profit and loss statements, financial statements, check registers and general business ledgers permanently. Similarly, major business documents, like annual reports, corporate by-laws and amendments, Board of Director information, annual meeting minutes and business formation documents, should also be retained on a permanent basis. Aside from supportive tax records, other documents such as accounts payable/receivable ledgers, invoices and expense reports and bank and credit statements should be retained for a minimum of 7 years. Don’t follow the IRS’s example…keep paper copies in a secure location or electronic copies in such a way that they are backed up often and secure. When your records are no longer needed for tax purposes, do not discard them until you check to see if you have to keep them longer for other purposes. For example, your insurance company or creditors may require you to keep them longer than the IRS does. When you do discard them, shredding is the best option to help prevent identity theft. These are all items that should be included in payroll prior to year end and reported on the W-2's. If you will need to issue 1099's for any reason, make sure that you have a completed W-9 on all vendors this affects. Call us if you would like assistance with any of the above items.